1. Mix all the aata / flours along with the rest of the ingredients to make a dough. 2. Let the dough set for 20 mins. 3. 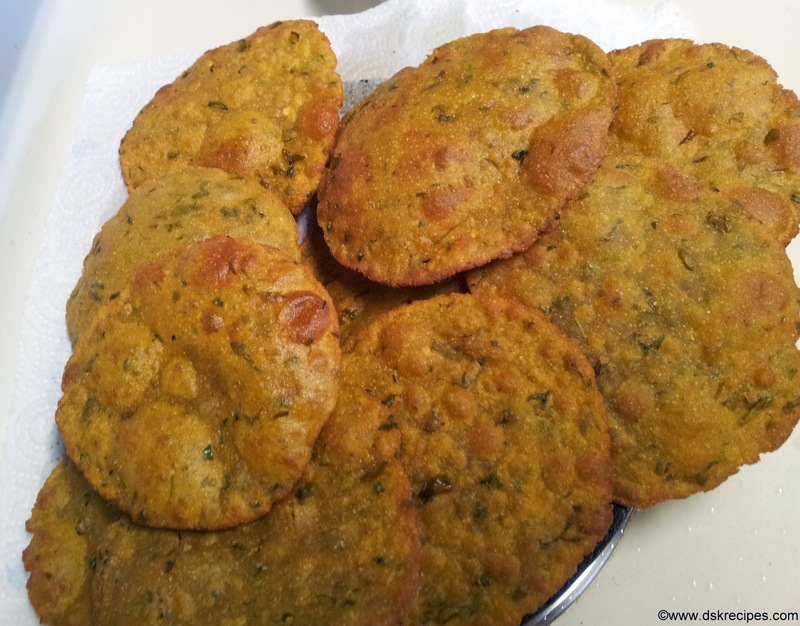 Make Pooris and deep fry them. 4. Dry them on a paper towel. 5. Serve with Raita or Aaloo Curry.